The EVE community loves its celebrities, and the players’ relationship with CCP’s development team is just as passionate. Many players follow the comings and goings of the company’s staff with the same devotion as others would keep tabs on the cast of their favorite TV show or the composition of the sports team they support. I have no idea how strong that relationship between players and developers is for other MMOs, but I would hazard a guess that it is somewhat closer in our case. 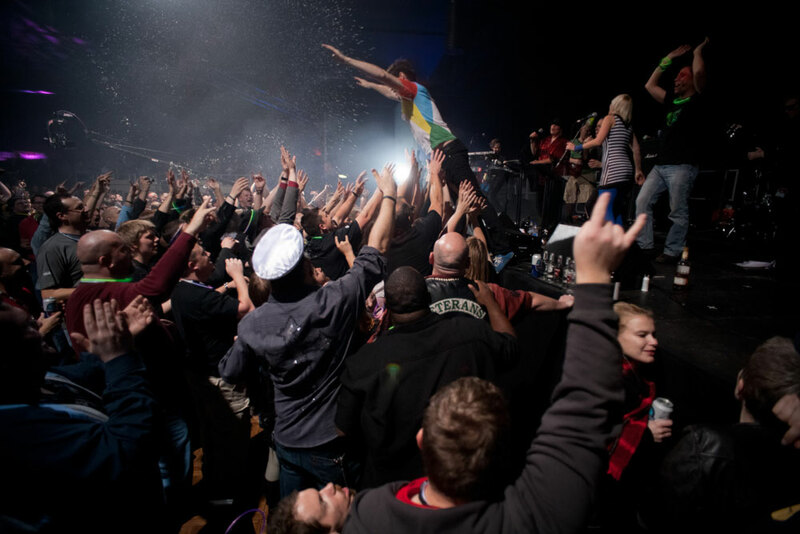 CCP staff regularly attend player events worldwide, even the smaller ones, and at Fanfest itself they mingle with the players, and even go out on pub crawls with them. Generally, CCP devs tend to be very much “down in the trenches” with their players. While a close relationship between developers and player base can be a great thing, it can also be a burden at times. People get obsessive about those they elevate to celebrity status, and at times judge them harshly based on insufficient information or personal projections. Let’s look at some examples. The last two years were marked by major changes in the developer roster, and some of those who left were among the most popular celebrities on the CCP payroll. 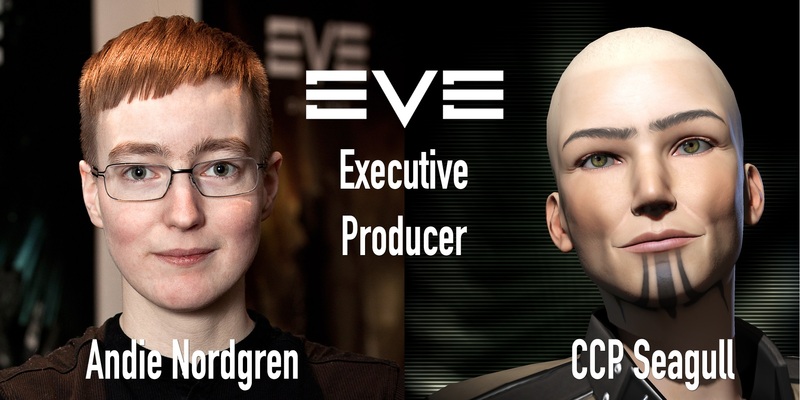 First an foremost among them was Christoffer Touborg, aka CCP Soundwave. He started as a player with Goonswarm and first appeared on stage during a Fanfest Alliance Panel. Only a year later he got hired by CCP as QA tester and progressed from there to lead game designer. Coming from one of the largest player organisations meant that he had quite a bit of community support to begin with, but he also became popular due to his charisma and wit, both on-stage and as Alliance Tournament anchorman. For many he represented the spirit of EVE Online and he remained a player favorite despite several factors that might have tarnished his reputation. Of course there was the ever-present conspiracy theory that an ex-Goon lead designer would favour his in-game mates, but besides those unfounded allegations, Incarna also happened under his tenure and he was explicitly in favour of introducing micro-transactions. In the end, most players either forgot or forgave him for that, and it was CEO Hilmar Veigar Pétursson who took the blame for Monoclegate. Another developer who enjoyed widespread popularity was Nick Blood, aka CCP Dropbear. He focused on lore, writing chronicles and running live events. Two of his greatest achievements were the series of intriguing episodes surrounding the Incursion release, and the instigation of Arek’Jalaan. CCP Dropbear might not have been well-known among the more pragmatic players who care little for roleplaying and backstory, but he definitely was a favorite of many, even outside the dyed-in-the-wool roleplayer groups. As someone with a passion for story development, Nick Blood became dissatisfied with the way CCP management focused more on commercial opportunities than breathing life into their games. Disillusioned by successive layoffs and CCP’s ultimate failure to release the long-promised World of Darkness MMO, he left and became a public critic of the company. Due to his prominence, many took his criticisms of CCP management very seriously and scepticism among players grew. That John Lander aka CCP Unifex had moved away from the position of executive producer and also left the company shortly thereafter did nothing to alleviate the feeling of doubt that had spread through the community. Again, a player favorite vanished from CCP’s personnel roster. John Lander was seen by many as the man who set EVE development on a new course after the PR disaster of Incarna and Monoclegate. By the time he left, player trust in the company was at an all-time low. Andie Nordgren, aka CCP Seagull, became the replacement for CCP Unifex, but players were initially unsure about that choice. Originally, there had been an announcement that a new EP would come from outside the company, so when Seagull was promoted to the position, there was a feeling that CCP was going for the low-hanging fruit. Furthermore, CCP Seagull came across as insecure and uncomfortable during her first public appearances as Senior Producer. Player confidence was certainly not shored up by the fact that CCP Soundwave had left only months earlier and was replaced by the relatively unknown CCP Scarpia. Not even half a year later, things could not be more different. CCP Seagull has become a community favorite who has managed to rally the player base behind a vision for the second decade of EVE Online. Now she confidently presents new perspectives and leads the development team through a series of bold steps into the future. In a recent gaming industry presentation, she talked about the importance of the players as central focus for a game development company’s self-image, and the “This Is EVE” trailer exemplifies her doctrine. It looks like she really is making her mark, not only on the game but also on how the company presents itself. Seagull managed to turn the tide of growing player apprehension and it would probably take an Incarna-level blunder for her not to be greeted with standing ovations when she appears on stage during Fanfest 2015. If CCP has ever had a rising star, she is it. One of the key developers who put parts of Seagull’s vision into reality was Matt Woodward, aka CCP Greyscale. After serving for seven years, mainly as the lead developer for nullsec related content, he left the company very recently. This time, the reaction of players was not unanimous disappointment to see one of their favorite devs leave, because Greyscale had been a controversial figure. Nullsec players in particular blame him personally for many unpopular changes, like the implementation of truesec based anomalies and the more recent jump fatigue mechanics. Not only was Greyscale at the helm when those measures were put in place, he was also not exactly subtle in explaining his decisions. His regularly poor choice of words in direct conversations – particularly at CSM summits – caused many players to forget that Greyscale also did a lot of good things. Under his lead, the unpopular learning skills were removed from the game. He introduced the safety settings which help newer players to avoid fatal mistakes due to lacking familiarity with aggression mechanics. It was Greyscale who laid the foundation for a complete reworking of nullsec, introduced alchemy and the moon material rebalance, and he had great plans for the future of player owned starbases. He is definitely one of the developers who got judged very harshly by a vocal part of the community, and while he stuck his head out and brought negative feelings upon himself with less than stellar communication skills, the current development trajectory owes a lot to his work. As lead community manager, CCP Guard has been the public face of CCP for many years. Technically he is not a developer, but no discussion of CCP celebrities can be had without mentioning him. His popularity among players is virtually undisputed. Always lively, equipped with a talent for comedy and showmanship and travelling from one player event to the next, he fulfills his assigned role admirably. As the good-natured funny guy, he plays the foil to CCP Falcon who has the often thankless job of keeping players in check and arbitrating EULA or TOS violations. 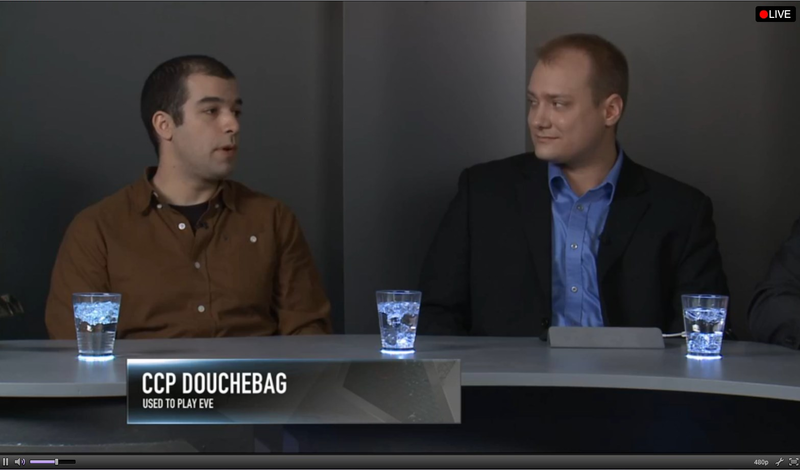 Falcon’s role as the judge, jury and executioner of CCP has made him the person many players love to hate. He may not be as popular as CCP Guard, but he certainly works equally hard, as the SOMER Blink scandal has shown. The triumvirate of community managers is completed by the more recently hired CCP Leeloo. Her track record may not be as impressive yet, compared to her veteran colleagues, but as the foremost CSM liaison she has done admirable work throughout her short career. One of her main achievements to date is the implementation of a process which finally lead to CSM Summit Minutes being delivered in a timely fashion. Something her predecessor CCP Dolan failed at miserably. Leeloo also appears to be a strict taskmistress in keeping the CSM on track and she also put in long hours to support Falcon during the SOMER Blink crisis. Her popularity is high among CSM members and will probably rise when she takes an active role during presentations at Fanfest 2015. Occasionally CCP likes to hire prominent players for tasks they consider them well suited for. Two recent examples of that hiring strategy are accomplished solo PVPer Kil2 and Pandemic Legion theorycrafter Raivi. Both were well known as Alliance Tournament commentators and have extensive knowledge of ship combat mechanics, so it was only natural for them to join the ship balancing team of CCP Ytterbium under the names CCP Rise and CCP Fozzie. Of all the celebrity developers they are subject to the most both praise and vilification, often at the same time. CCP Rise once said on a podcast that they draw straws at every ship balancing pass to determine who gets to be the one to announce it, and that is not because they are so keen on doing it. Browse through any forum thread related to ship balancing and you will find multiple instances of insults being hurled at the developers, implicitly at least. Approval and jubilation can occur in equal measure, but in terms of constructive feedback a oneliner that simply expresses support is just as useless as one that scoffs at the changes. Balancing ships is a very delicate matter and doing it wrong can have wide-ranging consequences on the whole game. It requires a level head, and to maintain that, a developer needs to grow a thick skin to weather the flood of reactions which follow announcements of change. More than any other modification to the game, ship balancing shows the fickle nature of EVE players’ celebrity-dev culture. Those who would praise Fozzie or Rise one day could just as easily demonize them at the next occasion if one of their favorite ships gets changed in a way they don’t like. There is a whole other league of CCP personnel who are the focus of player attention. They are not public figures like the community managers or high-profile people like lead game designers and executive producers, but still contribute in significant ways. How exactly some of those people working in the background reach celebrity status can depend on many things, often seemingly coincidental. Being featured for a few seconds in a development presentation video, appearing on stage during fanfest or getting to make an announcement in a devblog that many players like can be the deciding factor. Examples of such developers are CCP Punkturis and CCP Karkur. Both of them work on UI design and programming and have come to player attention in the times since Crucible, when fixing small issues with the game became more of a focus for development. The quality-of-life improvements those two women are responsible for have made them very popular with the player base. Speaking of design, the art department is of course an all-time favorite of players. Beautiful starscapes, nebulae and scores of uniquely designed ships have always made EVE a great game to look at, and it is getting better every year. Art presentations at Fanfest lead by CCP Basement Ben are followed with great enthusiasm, and while many players could probably not recall most of the art department staff by name, they certainly admire their work as a collective. There would of course be more people I could discuss, like o7 show co-host CCP Mimic or the new Alliance Tournament anchorman CCP Gargant, but I trust that the examples I provided show the various ways EVE players relate to developers whom they have elevated to celebrity status and how those CCP members have achieved that status. The last two years have almost been like following Game of Thrones: this season’s central character could be gone only a few episodes later. We shall see how things progress now that CCP seem to have recovered from a string of problematic events starting with Incarna and continuing with the cancellation of the World of Darkness MMO and the discontinuation of DUST514. If Legion and Valkyrie do get off the ground, and if EVE continues to evolve in promising ways, new celebrities will certainly emerge and existing ones will further secure their place in the hearts and minds of EVE players.